If you're looking for an all around luxury golf experience, Orange Tree Golf Resort awaits you. Orange Tree Golf Club was established in 1957. This mature, tree-lined, 6762 yard layout is one of Scottsdale's best golf values. Orange Tree is an excellent test of golf for players of varying skill levels. The course par is 72, the course rating is 71.3, and the slope is 122. Experience the charm, ambiance and friendly service of an intimate getaway with all the amenities of a first-class golf resort. With 160 large, beautifully appointed suites and a USGA-rated golf course, Orange Tree Golf Resort is the ideal destination for a relaxing vacation or a special event. The impeccably maintained 18-hole course is beautifully landscaped with mature vegetation, offering some of the finest golf in the area. 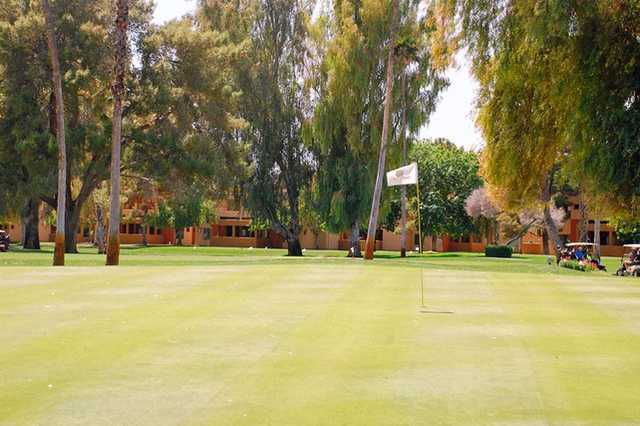 If you're looking for an all around luxury golf experience, Orange Tree Golf Resort awaits you. Orange Tree Golf Club was established in 1957. 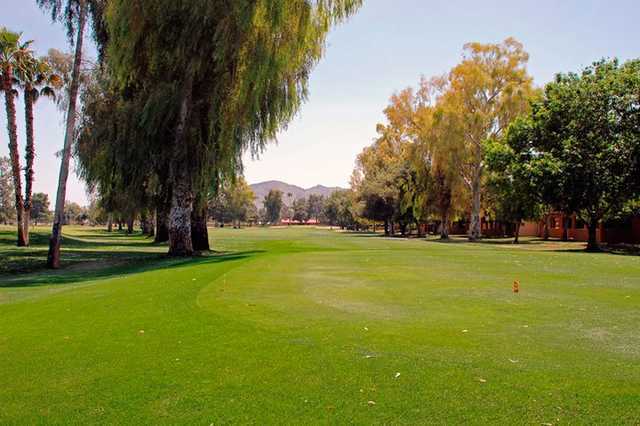 This mature, tree-lined, 6,762 yard layout is one of Scottsdale's best golf values. Orange Tree is an excellent test of golf for players of varying skill levels. The course par is 72; the course rating is 71.3; and the slope is 122. Came to Phoenix/Scottsdale for 10 day golf vacation. Wanted to warm up and loosen up before hitting the 'desert carries'. Great course for that, or just a nice traditional round. Very nice condition and friendly staff. Tough to nail down green speeds that day..? Good for all levels. Has practice range accessible any time (don't have to play a round). The course is decent. Not long and not too difficult. I enjoyed my round quite a bit and the price was unbeatable (summer rate). Some of the green were in pretty bad shape. The fairways were all nicely kept. I'll stay here again and probably play here again.